Tired of the same breakfast routine? Add some Protein, Vitamin C, & Antioxidants into your morning routine with this easy overnight oats. Make it the night before or on meal prep dayâ€“this little jar of heaven last up to five days in the refrigerator. 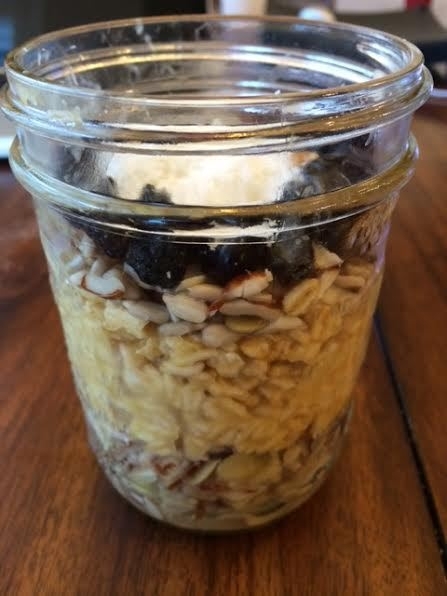 Layer nuts on bottom, Scoop a couple of spoonfuls of oats in jar, layer with nuts again and top with fruit & coconut.